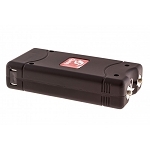 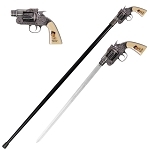 Sharp Import lets you be smart with your choice of self defense weapons.  So, what can be the smartest option? 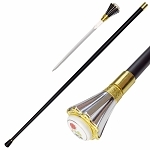 Without a doubt, it’s a Sword Cane. It’s a combination of a sword and a cane. 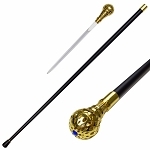 So, no one has an idea that the cane you are walking with is in fact a sword. 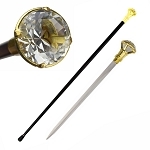 We put it as the most elegant and stylish sword ever designed. 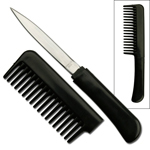 With its harcore blade, it secures you in horrifying situations. 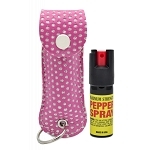 So, defend yourself with a beast under the palm of your hand. 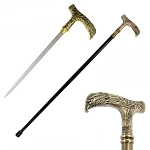 Buy a sword cane now at cheap rates and transform your walking cane into a vigilant protector. 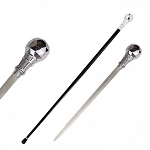 At Sharp Import, we have a paramount selection of sword canes to choose from. 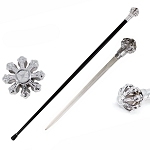 The countless range differs in terms of designs, styles, and colors. 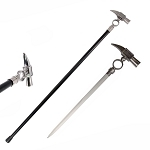 We at Sharp Import have a monstrous collection of sword canes for sale. 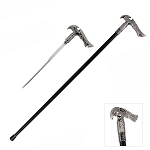 These encompass demon face cane, winged treasure dragon cane, beautiful lime green cane, Kalashnikov AK-47 sword cane, horse head cane, cane bird, dragon master cane and many other iconic sword canes. 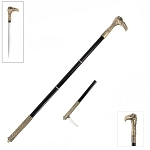 So, you have an appalling selection of sword cane designs to choose from. 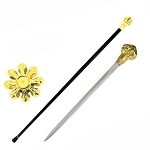 So, purchase a sword cane for you from Sharp Import. 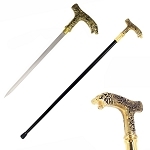 Our sword cane will be your best walking companion and your protector in emergency situations. 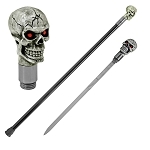 Explore our awesome assortment of sword canes and find the most interesting designs. 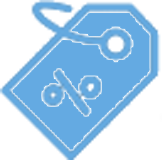 Now, try to figure out any other distributor with such amazing collection. 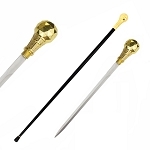 This is the reason why we lead the market when it comes to sword cane. 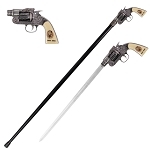 Also, we charge the lowest prices for these sword canes. 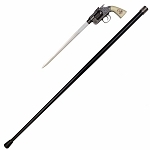 You can buy a sword cane for 90% reduced than the retail price. 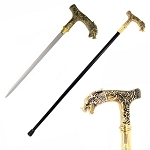 So, visit our collection and buy a sword cane of your choice at such cheapest price. 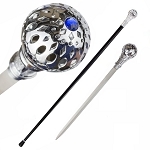 Are you looking for a real walking cane without a sword? 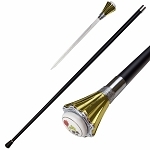 Explore our nicest collection of Walking Sticks and buy the real walking canes for a comfortable walk.